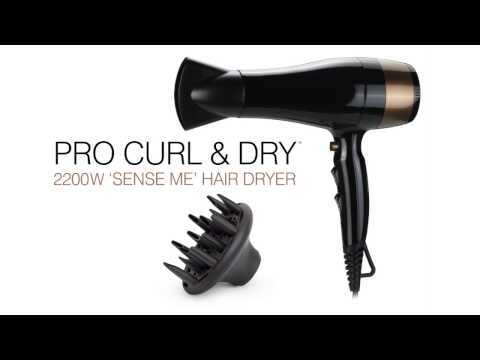 Pro Curl & Dry brings the latest salon touch sensitive “Sense Me” technology for hassle free use. Pick it up and it comes on, put it down and it automatically stops. The advanced air heating system and supreme air flow control gives super fast drying. Use either the diffuser nozzle for extra volume and curls or the concentrator nozzle for total styling control. Complete with 3 temperature settings, 2 speed settings and cool shot to set your style.